Remember Flappy Bird? 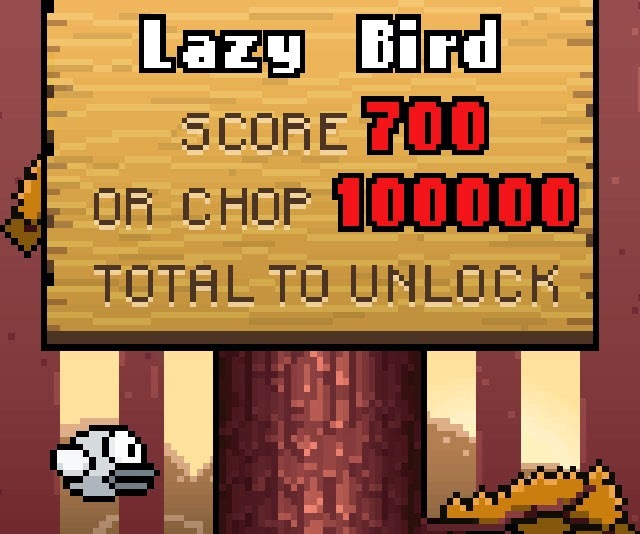 Well, Timberman is completely different. Honest. The DigiKast played it, you get to read our review of it. If you are one of those people that bought an iPhone on eBay for hundreds of dollars just to get your Flappy Bird fix, this new game is right up your alley. Also, feel free to donate to us. 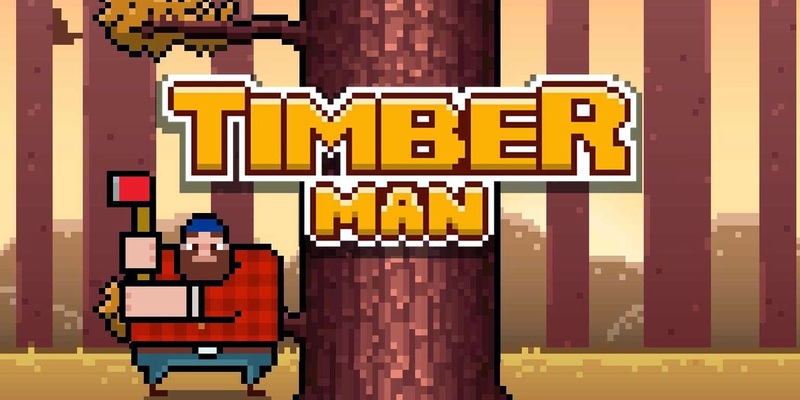 Digital Melody's Timberman is a new mobile game available on iOS and Android that features addictive gameplay, friend shaming through leaderboards, and lovable lumberjacks. You play as an eager lumberjack fighting for your life! Your whole life is spent chopping down this infinitely tall tree. The more you chop the longer you live. You must chop carefully as not to be killed by the falling branches. This simple mobile game makes up for its easy premise with a leaderboard that just wont quit. 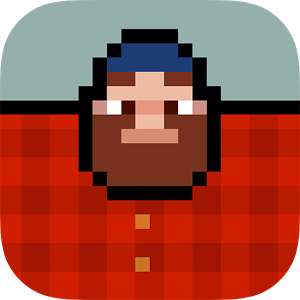 Watch as your friends race to get higher and higher scores and lord them over you with their bearded lumberjack faces. As you play more games and get higher scores you unlock more characters, unfortunately they are only cosmetic upgrades. However, the fast paced action makes it great for getting a quick fix and the responsive controls will leave you cringing from every loss knowing that any mistakes were certainly your own. I would recommend this game to anyone looking for the next new addictive mobile game, and especially to anyone that likes to battle their friends for top scores. Don't forget to check the +Digi Kast out on the various internet spaces. Sherry and Rob are always out and about ready to talk video games, life, and love. Enjoy!